The former “Top Chef” competitor and restaurateur tackles our speed round of questions. 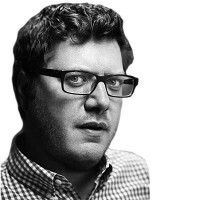 Spike Mendelsohn is a former Top Chef competitor and hosts the Food Network show The Kitchen Sink. He also owns Good Stuff Eatery, Santa Rosa taqueria and We, The Pizza. We got caught up with Mendelsohn at the recent South Beach Wine & Food Festival.